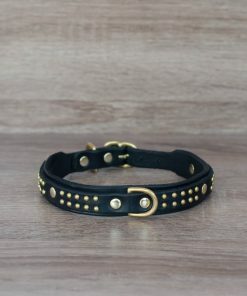 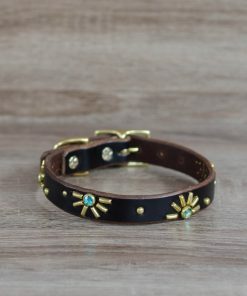 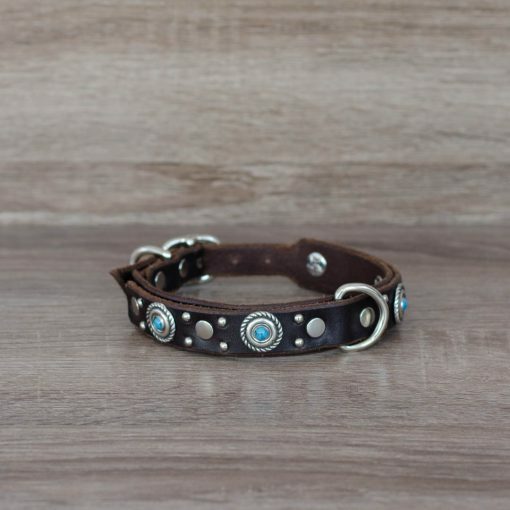 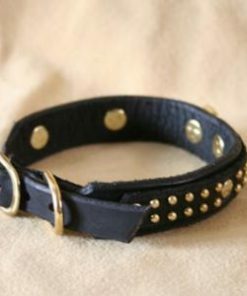 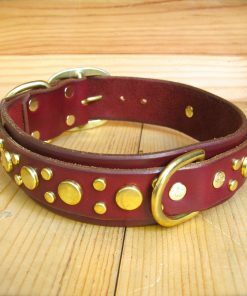 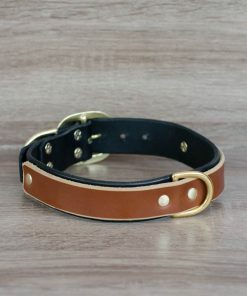 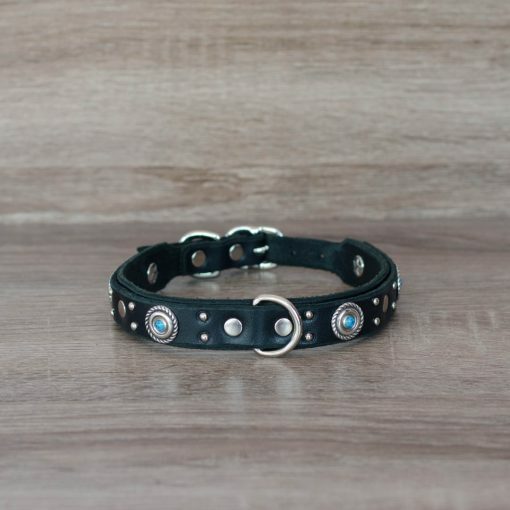 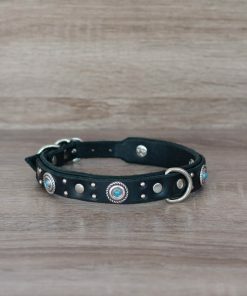 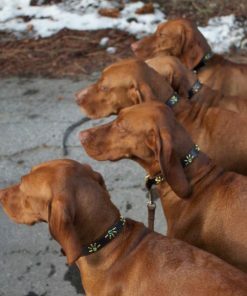 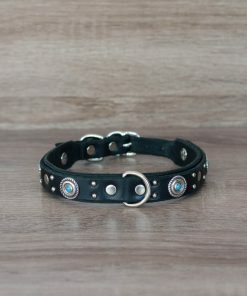 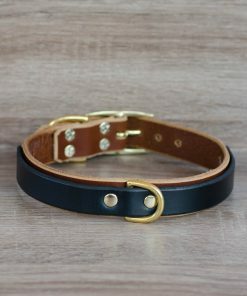 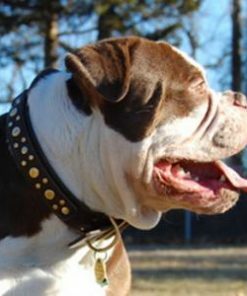 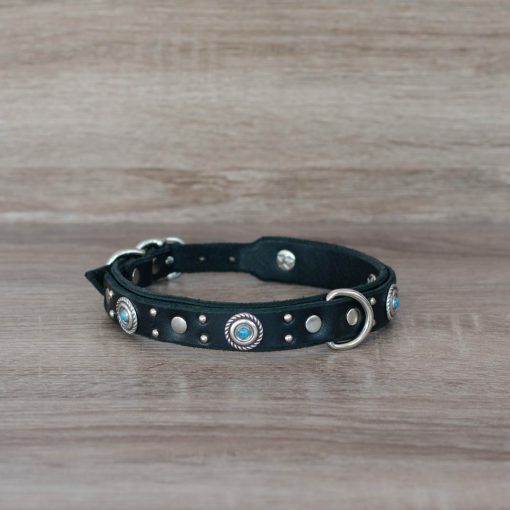 The Mini Mesa is a diminutive collar with a spunky Old West vibe. 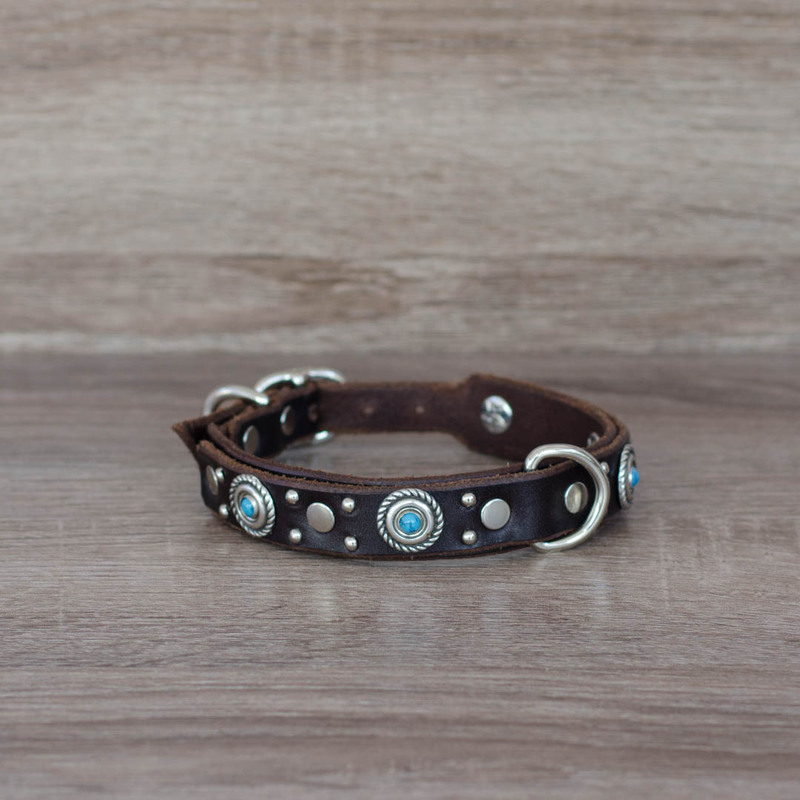 Silver conchos accented by turquoise blue spots adorn two layers of lightweight leather. 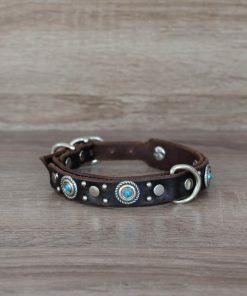 The Mini Mesa is 3/4″ wide tapered to a 1/2″ buckle.